AKIPRESS.COM - "The United States deeply values the contributions of Kazakhstan’s first President, Nursultan Nazarbayev, in establishing and promoting enduring, dynamic relations between the United States and Kazakhstan," Deputy Spokesperson of the US Department of State Robert Palladino said in a press statement on March 21. "At this historic moment in Kazakhstan, we salute Nazarbayev’s role as the father of today’s modern, sovereign, and prosperous Kazakhstan, and acknowledge the example he sets for responsible regional and global leadership. We once again applaud his significant efforts in the nonproliferation sphere, his leadership in global denuclearization efforts, his exemplary commitment to the peaceful transition of power, and his contributions to peace and prosperity in Kazakhstan and the region," the statement said. "Our relationship with Kazakhstan is based in our shared ideals of prosperity, respect for fundamental freedoms, and regional security. We congratulate Kazakhstan’s new President Kassym-Jomart Tokayev and look forward to continue working with him to deepen our enhanced strategic partnership and advance our longstanding mutual interests in economic development, trade and investment, and safeguarding regional and global security," the statement said. 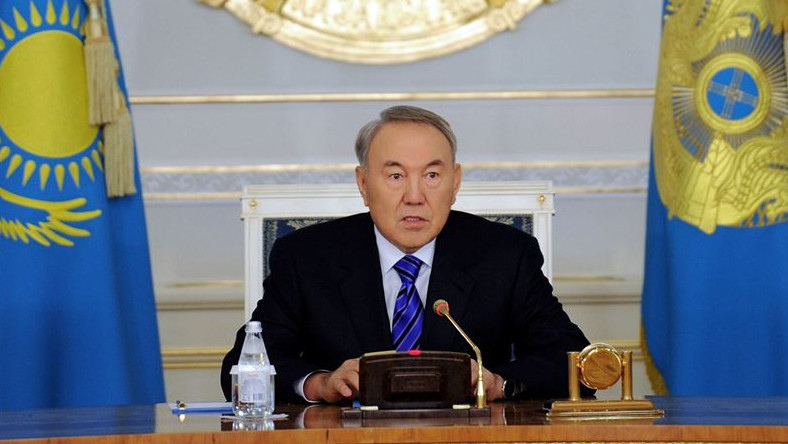 Nursultan Nazarbayev stepped down as a Kazakh President on 19 March 2019 remaining a Security Council Chairman and Nur Otan party leader. Speaker of Senate Kassym-Jomart Tokayev became the new President of Kazakhstan. Nazarbayev's elder daughter Dariga Nazarbayeva became the Senate Speaker and Kazakh capital was renamed after Nursultan Nazarbayev.